When it comes to anime, I am by no means an expert. There have only been a handful of shows that I’ve seen in their entirety: Cowboy Bebop (1988), Samurai Champloo (2004-05), Initial D (except 4th Stage & beyond), Ghost in the Shell: Standalone Complex Season 1 (2002-03), and Kaze no Yojimbo (2001-02). Then there are those series that I’ve started and someday plan to finish (BECK: Mongolian Chop Squad, Monster) and those that I enjoyed, but probably will never finish (Ergo Proxy, Black Lagoon, and Cromartie High School). 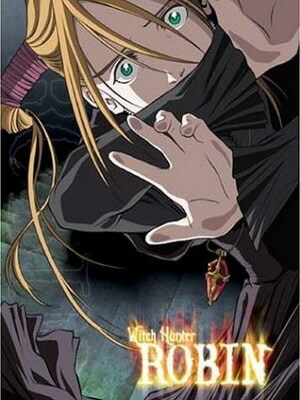 And then there’s Witch Hunter Robin. I get all my back-to-school clothes at Hot Topic! 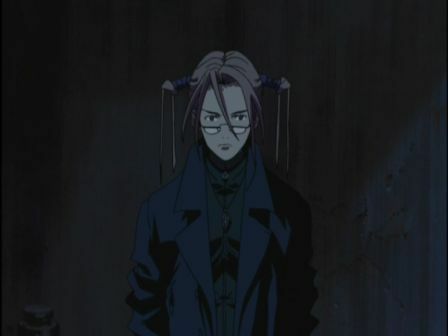 It follows the STN-J, the Japanese branch of a secret global organization called “SOLOMON” or the “Solomon Toukatsu Nin’idantai” (roughly “Solomon Executive Organization”), abbreviated as “STN”.Solomon fights the harmful use of witchcraft using a database of witches, those who have obtained the power of witchcraft through genetics, and those who carry the gene called “seeds” in order to arrest or eliminate them should their powers “awaken”. The series focuses on one of the STN-J’s members, Robin Sena. Aside from the overly technological gobbledygook, the idea of specifically hunting down witches (rather than vampires a la Buffy or all of the supernatural a la the Winchester Brothers) seemed compelling enough. Unfortunately, the episodes themselves were less than stellar. The one thing I love about Cowboy Bebop, Ghost in the Shell, and Samurai Champloo is that you can jump in on pretty much any episode and it’s still fun to watch, even if you aren’t aware of how certain events featured in the episode tie into the show’s larger mythology/season arc. The same cannot be said of Witch Hunter Robin. Not only does the story seem largely incomprehensible to the unitiated, but there’s absolute zero atmosphere in terms of setting and tone. To make matters worse, the character designs and personalities for the supporting players are probably the blandest I’ve seen in a major anime production. And guess what? The main players aren’t that interesting either. Robin Sena is the confused, female lead who’s trying to figure why she’s attracted to some brooding, dark-haired, and pale-faced guy named Amon. 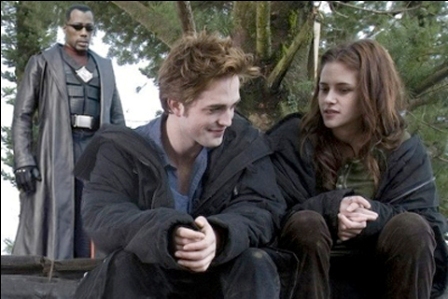 Believe me, watching Twilight is more enjoyable than three episodes of this. And I am no fan of Twilight. This picture represents my thoughts on the direction THAT teenybopper series should go. I don’t really know…for sure…but on the other hand…I do. If you’re new to anime or looking for another series to watch, do yourself a favor and avoid this one. Or, to be fair, at least start with Volume 1; it probably makes more sense.